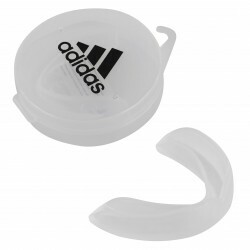 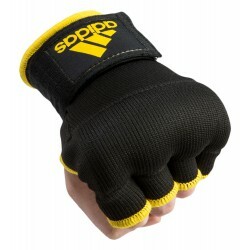 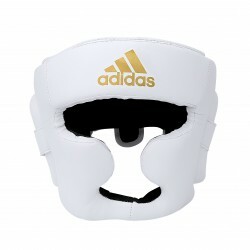 The Adidas AIBA Amateur Competition Headgear are authentically licensed for all AIBA tournaments and competition. 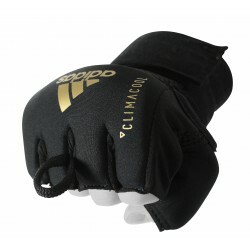 Manufactured with quality cowhide leather durability, and synthetic leather inside lining for superior durability and comfort. 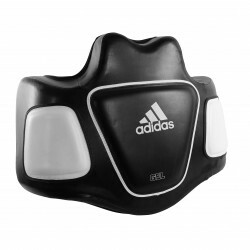 Form fitting top, back and chin strap Velcro adjustable closure for a custom form fit. 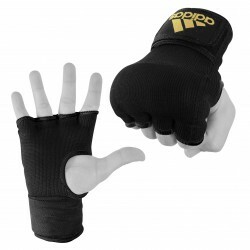 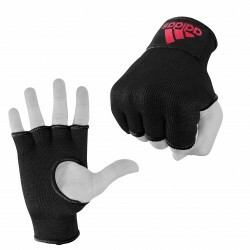 Lightweight Sup-Flex XL Air Cushion padding ensures maximum protection and shock absorption. 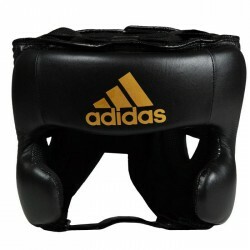 These headgear were featured in both the 2008 Beijing Olympic Games and the 2012 London, England Olympic Games for all boxing competition. 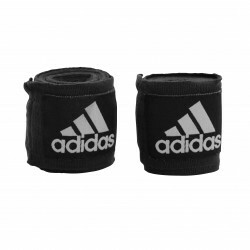 All headgear are certified with the AIBA official stamp for authenticity.